At Nelson Dental Care, we want to help patients fit the cost of dental treatments into their budgets. Processing and filing dental insurance claims is just one more way that we help our Metairie dentistry patients get affordable treatment. In addition to accepting coverage from most PPO insurance plans, we are also in-network with many benefit providers, including Humana. Like most PPO insurance plans, Humana focuses coverage on prevention in order to help patients keep their smiles healthy for a lifetime. If you want to learn more about dental benefits with Humana or any other provider or you need to schedule an appointment to see our team, call our Metairie dental office today. We look forward to seeing you soon. At Nelson Dental Care, we are passionate about helping patients keep their smiles whole and healthy for a lifetime. Humana dental insurance policies help our patients to get the preventive care they need with minimal out of pocket costs. Most Humana insurance policies cover preventive dental exams and teeth cleanings at 100%. Additionally, preventive services like dental sealants, fluoride therapy, and mouthguards may be covered 70 to 100%. If you do experience tooth decay or damage or any other minor oral health concerns, basic restorative dentistry services like fillings and deep cleanings for gum disease are typically covered 70 to 80% by Humana benefit plans. More advanced restorations like dental crowns or dentures, receive 50 to 80% coverage under Humana insurance plans. Depending on your specific elections, other treatments like dental sedation and custom oral appliances may receive coverage as well. 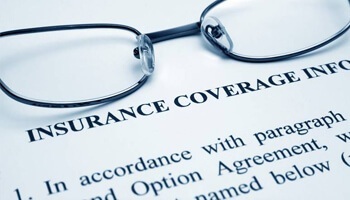 This coverage is only available up to an annual plan maximum, usually $1000 to $1500. We will help you monitor your treatment coverage to ensure you get the care you need without exceeding your annual maximum of available benefits. As an in-network provider with Humana, we have agreed to the pricing maximums for specific treatments, so you are only ever responsible for the out of pocket percentage of dental treatment costs. Out of network dental offices may charge fees that are higher than Humana’s set pricing for a service, but you’ll be responsible for making up the difference as well as paying your out of pocket percentage of the cost. Luckily, these differences in pricing are typically minimal, but when you visit an in-network provider like Nelson Dental Care, you never have to worry about paying additional fees. Employees of Oschner Health Services in Metairie are typically covered by Humana dental health benefits. If you’re employed by Oschner Health Services, the Nelson Dental Care team can help you make the most of your dental insurance coverage. We regularly work with Humana plans offered by Oschner Health Services, and we can help you to minimize the out of pocket costs of your dental care. We look forward to hearing from you soon.